Describing the lead-up to Underoath’s new album as “controversial” is like saying detonating an atomic bomb in your front yard will kill your grass. Indeed, from the high-velocity acceleration of the first single, “On My Teeth,” to the metalcore progenitors’ attitude toward their art, their lives and each other, fans have been embracing or trying to fathom where the band are coming from on Erase Me. In the latest issue of AP, the band talk about everything from the stress fractures that had set in between them, all the way to their reunion tour and the music they’ve made to celebrate their reconvening. One thing some fans have been shaken by is the band’s current mindset. Once identifying as members of the Christian faith, the members of Underoath have chosen not to align themselves within any realm of the contemporary Christian music scene. Not only does vocalist Spencer Chamberlain drop a couple f-bombs across Erase Me’s 11 tracks, he no longer practices or identifies with Christianity. 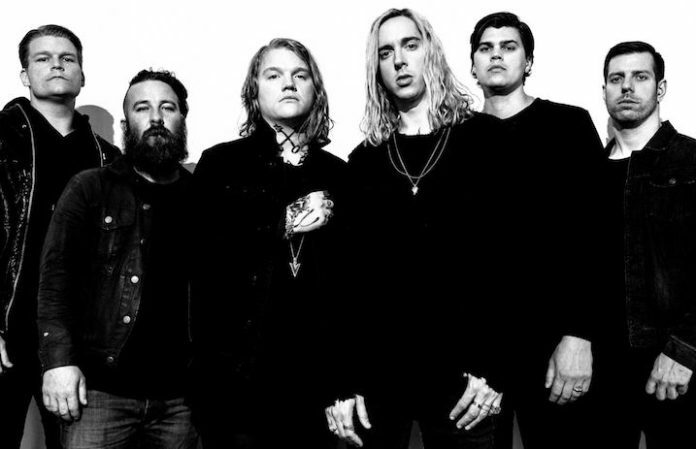 Drummer/vocalist Aaron Gillespie says he is spiritual but has no need for organized religion, while other members are still active in their community churches, without carrying the hardline attitudes attendant in some doxologies. Some fans are perceiving this as an affront or a betrayal, but the band aren’t going to be wearing corpse paint and getting upside-down cross tats anytime soon. During promotional interviews for the Chariot’s Long Live album, frontman Josh Scogin was impressed when this writer informed him that some fans of church-burning black metal loved the chaos the Chariot had captured on that album. The dichotomy of Scogin’s personal belief system against the ugly brutality of black metal meant that those people were engaging solely with the stuff coming out of the speakers. It’s a topic that resonates with Gillespie, who details his dealings with the business side of worship music in AP’s Underoath cover story, out now.